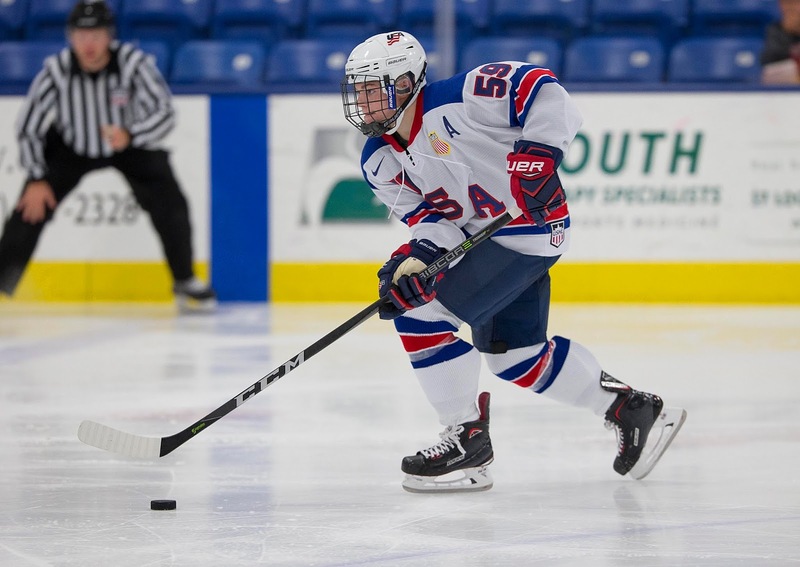 USA Hockey has announced the rosters of its two teams for the World Junior Summer Showcase, set for Kamloops, British Columbia, beginning July 28. Four Terriers, Logan Cockerill, David Farrance, Brady Tkachuk and Jake Wise will skate for Team Blue while Joel Farabee will play for Team White. 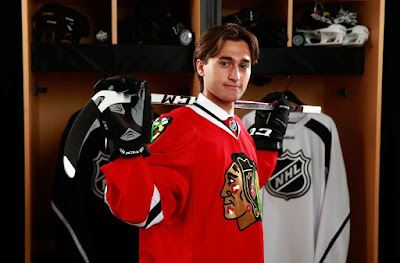 At his third Blackhawks development camp, junior blueliner Chad Krys discussed competition at his position both at the camp and at BU where there are five NHL drafted defensemen. Also at Blackhawks camp, Wise reflected on his NTDP experience. The center from North Andover has been blogging for NHL.com throughout this week. 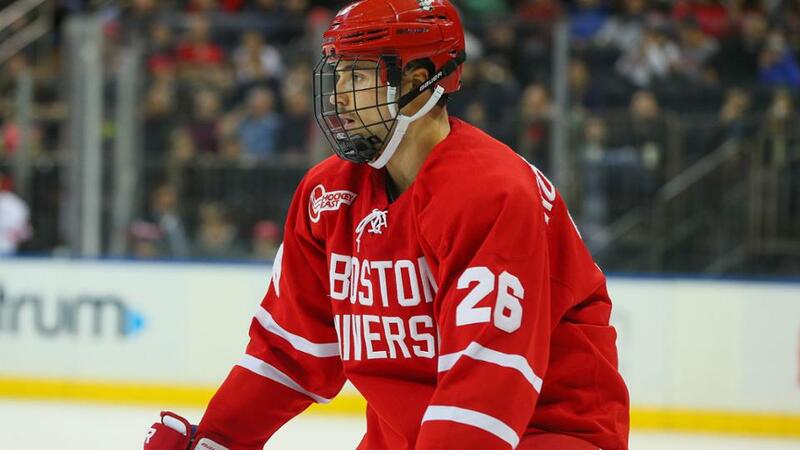 Future Considerations’ early 2019 NHL Entry Draft ranking has four future Terriers in the top 100: Trevor Zegras (#25, photo), Case McCarthy (#31), Alex Vlasic (#35) and Robert Mastrosimone (#69). 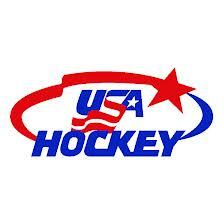 Zegras, McCarthy and Vlasic move up to the NTDP U18s, who will play an exhibition game against BU at Agganis Arena on October 19. Mastrosimone, who was named to the US Select U18 Team that will play in the Hlinka-Gretzky Cup tournament next month, will begin his second season with the Chicago Steel after scoring 45 points last year. Check out the list of players who have committed to play in this years Comm Ave Charity Classic on August 24 at Walter Brown Arena. Coach Brian Durocher announced a seven-member 2018 recruit class with two goalies, four forwards and one defenseman. Nicole McGuigan and Kate Stuart are the goalies and Alex Allen is the blueliner. The forwards are Kaleigh Donnelly, Emma Wuthrich and two members of Canada’s bronze medal team from the 2018 IIHF U18 championships, Courtney Correia and Mackenna Parker.